Ready for a sleigh ride, California style? Then come aboard a beautifully decorated boat for a tour through the Ventura Harbor and Ventura Keys. It’s fun for the whole family with complimentary hot cocoa and holiday cookies. Extras for the adults include “Reindeer Milk” available from the onboard bar. Tours last for one hour and depart at 5pm and 7:30pm, make your reservations here. Are you in need of a few final special gifts for your loved ones? Visit the Holiday Street Fair on Main Street in Ventura to find those one of a kind gifts! Booths open at 12pm and go until 8pm. Admission is free so come walk through the streets and grab those last few gifts. Once you’re all finished with your shopping, continue in the holiday cheer with a ticket to the Winter Wine Walk. Starting at 4pm grab your wristband, tasting cup and map and get the tasting started through the stores while enjoying the company of your friends and family. And a nice little bonus…snow fall in Ventura! Starting at 6:45pm and going until 8pm, get out onto Main Street to enjoy the snow fall, holiday lighting and live entertainment. This event is sure to start your December off in the holiday spirit! Purchase your tickets here. From 9am to 6:30pm The Oxnard Tamale Festival will be held at Plaza Park in Oxnard. It is free of charge so grab the whole family and enjoy the brisk December air and Oxnard’s most delicious tamales. More information can be found here. Join this Oxnard tradition with family fun starting at 10am and stick around for the parade that starts at 7pm. This event can be viewed from many Channel Islands Harbor businesses. A list of those businesses can be found here. Get your holiday costumes ready and come down for a morning run with Santa to the Sea. Sign up for the half marathon, the 2-person half marathon relay or the 5K run/walk event and enjoy the course through Oxnard. Starting off the 101 freeway at the historic Santa Claus through Oxnard’s famous strawberry fields which lead to downtown Oxnard then Candy Cane Lane with the holiday decorated homes all to lead to the Pacific Ocean, beaches areas and ending at the Marine Emporium Landing in the Channel Islands Harbor. Get more information and register to run here. Ready for a little more holiday cheer after your run? 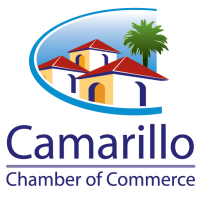 Head over to The Red Barn Holiday Boutique at the Camarillo Ranch for some holiday shopping and then grab a ticket for the home tour. This home tour consists of homes in Pleasant Valley that are beautifully decorated for the holidays. Take a walk through these homes while enjoying the sounds of seasonal music. If you get a little hungry you can grab brunch too! Get additional information and tickets for the home tour here. Stay cozy in the car, bundle up and take a walk or hop on the Holly Trolley for a tour through the Henry T. Oxnard National Historic District where residents decorate for the holidays. Get more information on the Holly Trolley Tour tickets here. The 39th Annual Ventura Harbor Boat Parade of Light and Fireworks hosts the theme “Surf, Sand & Santa- Celebrating 150 Years of Ventura”. Starting Friday night at 6:30pm and then the Winter Wonderland & Holiday Marketplace on Saturday from 1pm-5pm; enjoy the fireworks display at approximately 8pm each night. Enjoy this free family friendly holiday cheer with visits with Santa & Mrs. Claus (bring your camera for photos), Victorian Carolers, snowfall, and more! Visit their webpage for additional information. The big question every New Year’s Eve is what is going on where…The Ventura County Star has compiled a list of happenings for in and around Ventura County, check it out here. We hope you’ve had a wonderful 2015! However you and your loved ones choose to ring in the New Year, please be safe. See you all in 2016!